Most educators agree that the early years of a child’s social, emotional, and academic development are the most important. At Saint Andrew’s School, we introduce our school mission of developing mind, body, and spirit in the Lower School – as early as possible. 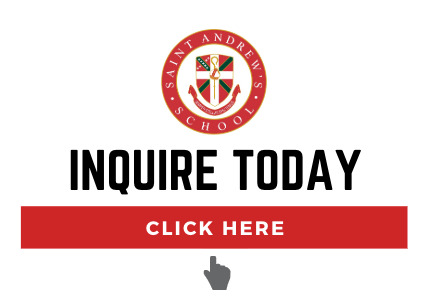 We also ensure that the Saint Andrew’s learning experience develops a sense of community, trust, and friendship in our students as it sparks interest and curiosity about the world around them. One of the things that distinguishes our Lower School is called the Co-Teaching Model, also known as the Two-Teacher Model. Since we opened our Lower School 18 years ago, students have had the benefit of two teachers in every classroom, every day. Many other schools may offer a teaching assistant or intern in some classes, but Saint Andrew’s is the only school in Florida to offer Co-Teaching in every class JK- Grade 5. Co-teaching allows one teacher to spend more time to assist students facing challenges with a particular concept, and the other one can lead the students who are ready to tackle the next assignment or lesson. • Planning is prioritized. With two teachers knowing each student, they can work together when designing curriculum and activities, and are much better able to address the different needs of individual students. • This provides a heightened level of care for students facing anxiety or difficulty with a specific assignment. With co-teaching, there’s always a second educator who can help a child who needs additional support without affecting other students. • Co-teaching opens the door to different models of teaching. One called “Parallel Teacher” has both instructors leading the same assignment --- each to half the class. Students get more opportunities to participate directly with a teacher this way, and it also allows teachers to get a clearer sense of students’ mastery of the content or skill through the more frequent interaction. • Another model is the Whole Group and Small Group. If there’s a group of students who are ready to read a novel of greater complexity, Teacher A can work separately with them and lead an academic extension, while Teacher B continues with the assigned curriculum. We’re able to accommodate different levels of academic readiness in the same classroom. It’s an opportunity to challenge each student to reach their potential. • Teaching at stations also provides a benefit for co-teaching. In math, for example, one station could ask students to solve a challenging equation together. Another might have a problem where students are asked to use pictures to find the solution. A third station, working with a teacher, could help students try to solve a problem by explaining it to their classmates, which then involves the development of communication skills. At a fourth station, a teacher could work with students to solve a more abstract, higher-level problem. Students are grouped by readiness, matching lessons to an appropriate level of rigor to each child. Our new Lower School literacy program is a good example of Saint Andrew’s leadership in teaching. Instead of students all reading the same book, each student can read a book they love, which increases both engagement and excitement. When it comes to writing, students get plenty of quality feedback which in turn helps them grow as a writer. Teachers have more time to conference with individual students, each offering their own input. Saint Andrew’s has 40 teams of co-teachers in the Lower School, which leads to a student-teacher ratio of 12:1. “We have some superb teacher teams at work here,” said Ms. Kopels. "The relationship between teachers is in some ways like a marriage. You have to know and understand your co-teacher well to make it a successful collaborative partnership. In many ways, co-teaching goes beyond just being professional colleagues because you spend so much time together working toward the same goal of helping your students achieve success in all areas of school life."